As email marketers, it’s easy to become trapped in the focus of what our company is doing and how best to reach people we want to sell our products and services to. But it’s important to hop over the fence now and then and try and understand how people shop now. I read recently that, on average, only 3% of people that visit websites buy. The good news is that leaves a whopping 97% that can be converted into paying customers. So what can you do you bump up the numbers? As always, it’s about making the journey from initial interest to purchase as quick and easy as possible, but taking into account that there are added distractions creating break points during this process. This is where email plays to its strengths. What we want as consumers is a continuous experience and this means emails we receive are more effective if they are seamless. Our experience as customers is across multiple channels and devices at different times of the day and mobile has become the focal point where everything collides. 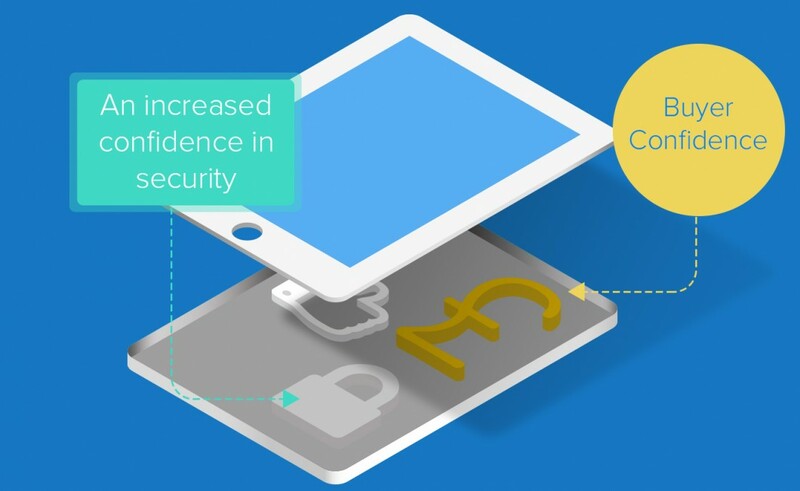 – An increased confidence in security. – That we spend more time on our ‘phones than any other medium because it is quick, convenient and with us all the time. – Companies are making it easier to pay on ‘phones such as PayPal and the recently launched Apple Pay. Screen size is another factor driving mobile sales – the bigger the screen the higher the transaction rate as we can see more and have more space to hit buttons and to fill out details. Apple has realised this and it’s no surprise that the 6 and 6+ launched with Apple Pay. The importance of email as a marketing channel to mobile ‘phones should not be underestimated – 67% of mobile purchases come from email so retargeting via email is a key component in nudging people who browse but don’t buy or add something to their basket but don’t buy. The perception of email is shifting, it is becoming the cut-through medium for us all. We are inundated with increasingly targeted ads on search engines, social media and many websites and have a higher dispensation to ignore these over a usefully timed email with content that relates to what we have been looking at on sites we have given our permission to. If we can carry the context of a browsing session or abandoned basket from any device to generate emails it allows the recipient to continue their journey and gives the business an increased chance of conversion. The view that email is now largely an information by request channel allied to timely and relevant content means it is treated as something that makes our lives easier. For example, I may have been looking at a product on my ‘phone in the morning but not had enough time or headspace to feel comfortable making a buying decision. Done in the right way, an email that arrives later that day serves as a reminder and is perceived as a useful communication rather than a regular un-targeted sales message. This is seamless email and it’s where we as consumers find it most useful. It’s an effective part of the mix – not in the old way of hitting people with the same sales message across multiple channels at the same time in the hope that hammering something home will get people to buy, but as part of an integrated approach that fits in with the way we are using online these days. Sometimes the grass really is greener on the other side of the fence!